Some knives are born classics. Schatt and Morgan Knivesare about the finest American made pocket knives made. They have released a beautiful series with “October Harvest Bone” handles. As you can see, they are a beautiful orange color smooth bone and the workmanship on these is second to none. Limited to 600 pieces of each model. 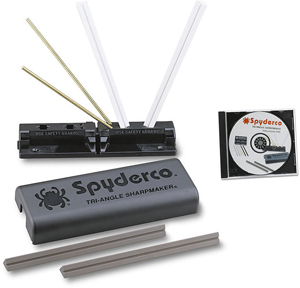 Cold Steel has added to their eclectic selection of products with some great practice items. These are sturdy Polypropylene and will withstand a lot of practice. The new models, a hand and a half sword and a dagger, are the first European style sword type items we have seen in polypropylene. 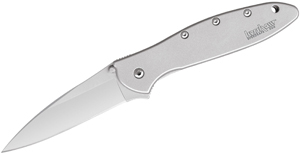 The Aphid is a cool little “insect” type knife from Benchmade Knives. 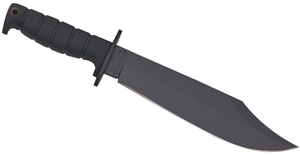 It has a sharp tooth and is light weight, is quick opening, etc. This is the first batch of black blade models of this great folding pocket knife that we have seen. The clips are black on this assisted opening knife as well. Multitools are what Leatherman tools built their company on. Leatherman Tools has been building multitools for many years and invented multitools decades ago. This latest multitool is a simpler version of the Leatherman Skeletool. This multitool has a super sized knife blade and a great pliers head. It is easy to carry, well made and inexpensive!